At Crescent Design and Construction we enjoy building high quality garden walls to border lush greenery, manicured landscaping, and harvesting vegetables. 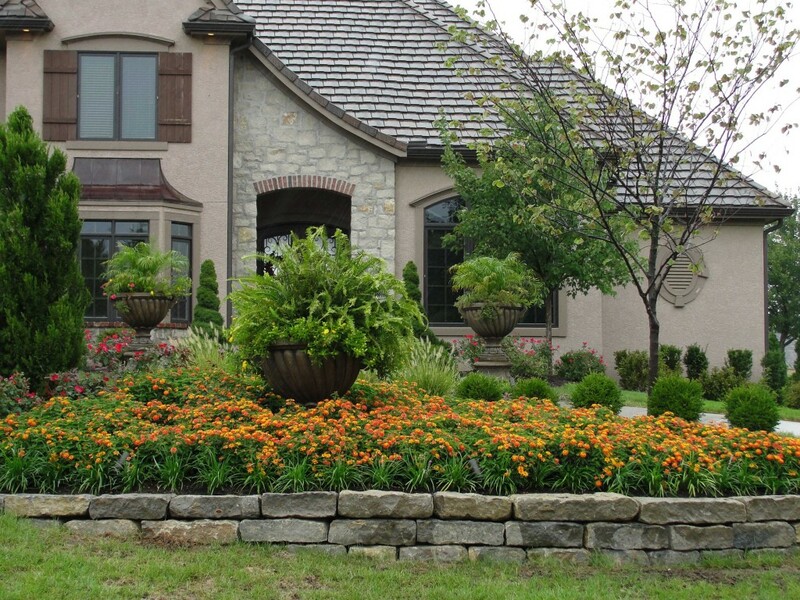 Your garden wall can be any color, texture, size, and shape that best suits your space, budget, and style. 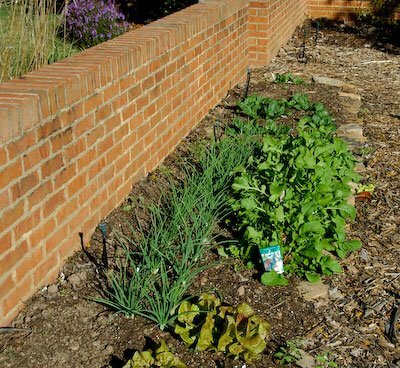 When your garden area presents challenges in the land with downgrades and overall uneven areas, garden walls are the perfect solution. Follow the curves and hills of Mother Nature with flexible garden wall options. Building winding garden walls, curved garden walls, and even straight garden walls are all possible and in some cases easier to build! Mother Nature rarely draws a straight line. Not only will curved designs feel more natural, they are actually easier to build too! Free flowing curves will grace any garden or landscape. If straight lines and corners are your choice, use AB Junior or AB Jumbo Junior – both offer corner blocks, making 90° turns easy to build. From the simplest jobs to the more intricate designs, Crescent Design and Construction is certified, skilled and has over 20 years of experience in building outdoor structures. We will make sure your project follows all of your local zoning codes and city regulations and will acquire any necessary permits for you. 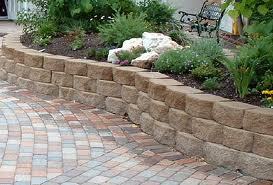 We can build your garden wall in any building material; some of our most popular choices are described below. Stone Garden Walls: Stone is a durable and stylish option. Stone can be designed in so many different ways and really holds that organic look to compliment any garden. With the stone being set in mortar, adds to its durability and strength. With every edge of the mortared wall sealed will protect it from weathering such as water damage. Classic Brick Garden Walls: Brick offers more than just its classic appearance; it offers its own microclimate for your garden. Brick walls have long been known to absorb and hold in the heat from the sun during the day and then distributing that heat back out at night. A brick garden wall is less expensive but just as durable as a natural stone wall. Beautiful Mosaic Garden Walls: A mixture of different materials for this wall makes this wall a layered wall of strength. Tiles are set in a mid-base of cement and sand that covers bricks and cement blocks. Terra-cotta tiles with a mix of cobble stones is another attractive addition to any yard and garden. These walls tend to be less expensive because many of the materials can be used from other jobs. Once this wall is finished the outside layer is smoothed and glazed. Gabion Garden Walls: For an alternative to a dry stone wall, this wall is cost efficient and offers an incredibly strong wall that can also be used as a retaining wall. Using bricks, stones, cobbles, and rocks, these materials are wired together and set into metal gabions. This is a decorative wall that can be easily customized with other materials. Master the art of elegance with a glorious family garden that is as appealing as the polished yet informal garden walls surrounding it. Also consider installing beautiful stone walkways leading to and from your garden! Call Crescent Design and Construction today for your free consultation with our master contractor who will come out to your property and go over your garden ideas and give you’re a price quote on the spot. We are a family owned business and we strive to treat all of our customers as if they were a part of the family. If needed, we also provide other outdoor home services that offer convenience, style, and, beautifully distinctive backyard designs. Our team can help you with landscaping, outdoor living ideas, outdoor lighting, outdoor kitchens, backyard designs, patio plans & ideas, patio designs, patio pavers, concrete patios, patio covers, flagstone patios, installing patio heaters, brick patios, slate patios, patio gardens, retaining walls, resurfacing, walkways, driveways, and pools! Call Crescent Design and Construction today at (703) 665-3545 for your free in-home consultation by the leading exterior contractor in your area!